You may have seen this morning's article in The New York Times about the Kitty Hawk, a flying machine that is shown here on video screaming through the air over a serene mountain lake north of San Francisco. Kitty Hawk is the aircraft - and also the name of the company that makes it, and it's backed by Google founder Larry Page, reportedly to the tune of $100 million. Kitty Hawk's chief executive, Sebastian Thrun, is, as the Times says, "an influential technologist and self-driving car pioneer who is the founding director of Google's X lab." The company promises to bring to market the machine you're seeing here by the end of this year. So even if this concept never becomes a car, it sure looks like a fun alternative to a personal watercraft. Silicon Valley players such as Page and Thrun, and actual aviation companies such as Airbus, are working on concepts. 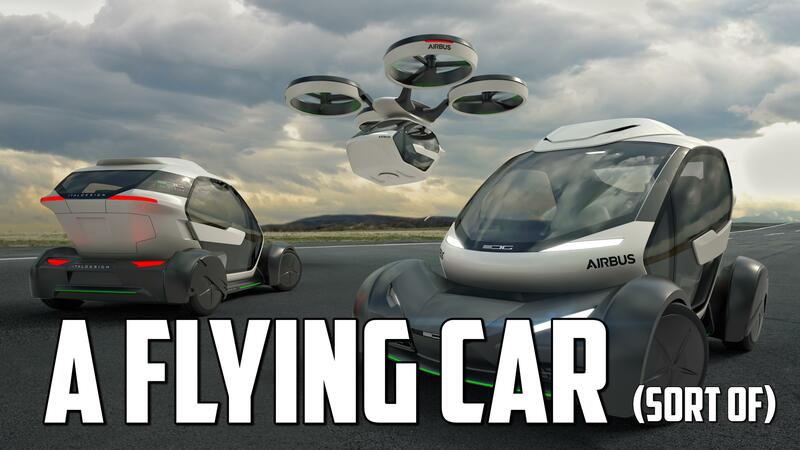 There is a lot of talk in the air about flying cars. But here in the air is an actual machine, not just talk.